Remember the Maryland boy who in 2015 became the first child in the world to receive a double hand transplant? Well, he just threw out the first pitch at an Orioles game. Zion Harvey, who lost both hands and feet to a severe infection as a baby, was 8-years-old last summer when a surgical team of 40 at The Children’s Hospital of Philadelphia worked ten hours connecting bone, blood vessels, nerves, muscles, tendons and skin to give him two new hands. Harvey has been working ever since to regain hand function through rigorous therapy sessions. 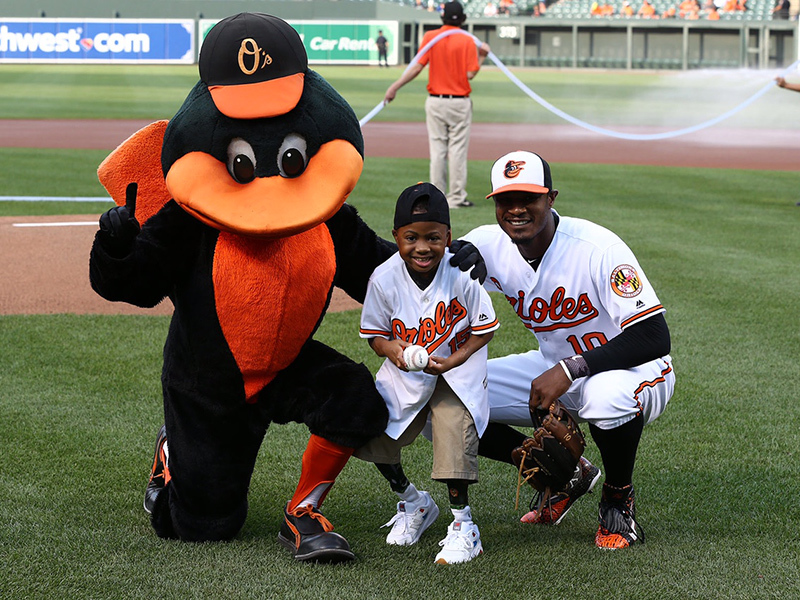 On Tuesday, he threw out the ceremonial first pitch for his hometown Orioles. “Never give up on your dreams, it will come true,” Harvey told WJZ last year. Outfielder Adam Jones had the honor of catching Harvey’s ball. The O’s went on to win their game against the Texas Rangers 5-1.